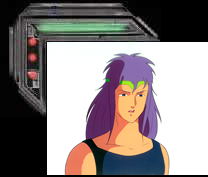 “Genesis Climber Mospeada” is a twenty-five episode TV series which aired from 1983-1984. Its Character Designer was non other than Yoshitaka Amano ("Shinzo Ningen Casshan", "Hurricane Polymar","Vampire Hunter D"). 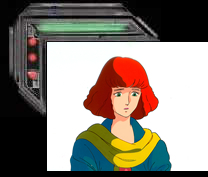 Carl Macek took “Mospeada” and combined it with two separate series, “Super Dimensional Cavalry Southern Cross”, and “Macross”, to create “Robotech”, which aired in the US in 1985. In the year 2050 the Earth will be invaded and taken over by the Inbit. Those who escaped the Inbit occupation migrated to Mars. Thirty years after mankind’s initial defeat, a freedom force was sent from Mars to retake Earth, however it failed. Three years after Mars Colony’s first attempt, a second force is sent to free humanity’s homeworld. The second attack wave from Mars is another dismal failure. The entire legion is destroyed upon entry into Earth’s atmosphere. It is completely decimated except for one man, Stick (Scott in “Robotech”) Bernard. While futilely looking for survivors from his expeditionary force, Stick finds the planet to be a home of people who have accepted the Inbit as their masters. Eking out an existence as best they can, most of those left or born on Earth would rather turn over soldiers to their alien rulers than oppose their oppressive overlords. Gathering a rag-tag team of misfit outsiders, including ex-military officers from the previous attack wave, Bernard heads towards the aliens’ main base, Reflex Point, in North America, to fulfill his mission to free our world, and personally avenge Marlene, his fiancée who died in combat. 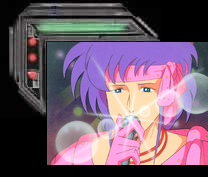 In the Robotech version, character names were changed, the Inbit became the Invid, the vehicles were powered by Protoculture instead of HBT, the attack force was part of some group that left Earth under Admiral Rick Hunter, new music ( Michael Bradley’s haunting “Lonely Soldier Boy”) as well as snappier, more humorous dialog (“MY TOOTH BRUSH!”-- “So your teeth fall out, it’s better than getting your head blown off.”) was added, and tons of squirrelly scenes of Mint’s (Annie La Belle’s) exposed underwear were cut. 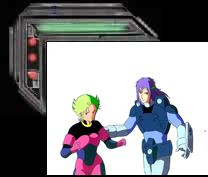 With its intriguing plot, likable characters, and cool mecha, "Mospeada" is good, but “Robotech: The New Generation” is in some ways superior to the original.